Pele Yoga opened in the Washington Square Neighborhood in January! “Inspired by Pele, the Hawaiian volcano goddess, we specialize in heated vinyasa yoga, creative dance, and fiery fitness to fuel you“ (via website). Founder Danielle Rinallo is a Rochester native, 5-year California resident and Hawaii enthusiast, having lived there for two months right before the volcano erupted on the Big Island in 2018. She was inspired to open Pele Yoga when she returned - ready to secure roots in Rochester and support our city’s evolution. Beginners and experienced yogis are welcome and they will even be offering Teacher Training which starts in July. Bourbon Cream Candy Canes provided by our friends at Black Button Distilling!!! 2018 has been a great year...here’s a recap of what’s been happening in and around the neighborhood, and a few things to look forward to for the New Year. We’d like to thank our organizational and corporate funding partners for 2018 including: Buckingham Properties, Excellus BCBS, M&T Charitable Foundation, Three City Center Partners, Turner Engineering, Hyatt Regency Rochester, and The Little Theatre. 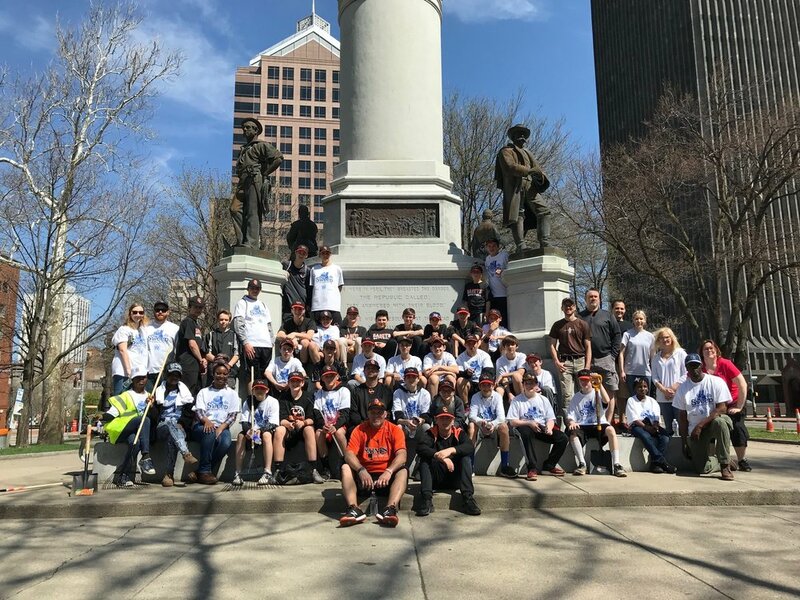 May 5th, 2018: Our 7th annual Rochester Clean Sweep for the neighborhood! See blog post and photos here. May 12th, 2018: The 17th annual Dachshund Parade was held in the Washington Square Park by the Rochester Dachshund Parade organizers. See blog post here. June 2nd, 2018: The results of our community charrette will be released in early 2019. See blog post and more photos here. Native Eatery AND Bar officially opened in June of this year, giving even more life to the corner of Woodbury and Clinton with an expansive view of the Park, a spacious interior, and a beautiful outdoor patio. Geva patrons currently get half-price off their first drink (show the evening’s ticket to the bartender), they were one of the featured pop-up restaurants at the Roc Holiday Village, and they are currently taking reservations for a Prix Fixe Menu and Jazz combo for New Year’s Eve. See blog post and photos here. The WSPCA celebrated the 5th of production of the Movies with a Downtown View by having 5 different productions throughout the summer: 2 in Manhattan Square Park, 1 in Washington Square Park (shown above), 1 in Parcel 5, and a special event on the rooftop of the Hyatt Regency Downtown. The movie events happen every summer, and most are FREE to attend made possible by the generosity of local donors. For more info and highlights, check this out. Fuego Coffee Roasters opened up in the Woodbury Lofts building in early November, with their official Grand Opening party on Friday, November 9th. They treated all area neighbors to FREE coffee all month long, and have quickly become a fave amongst area residents, workers, and visitors. If you have not been into their beautiful space yet, do not wait any longer - it is sure to become a favorite of yours too. Part of the mission of the WSPCA is to “…revitalize and reinvigorate the Washington Square Park and surrounding areas.” We take this mission very seriously and want to not only better our neighborhood, but also help the adjacent neighborhoods here in downtown look better. Acting on this mission, several neighbors in conjunction with the Center City Community Coalition (C4) participated in a Mini Clean Sweep on Saturday, November 10th at the MLK Jr. Memorial Park. How can you miss all of the work going on at the river along the east-bank of the Genesee? The skyline and views are changing daily, and there will most certainly be a new apartment complex opening up in 2019 called The Nathaniel. Running alongside the complex will be a brand new Promenade for all of us - the general public - to enjoy. 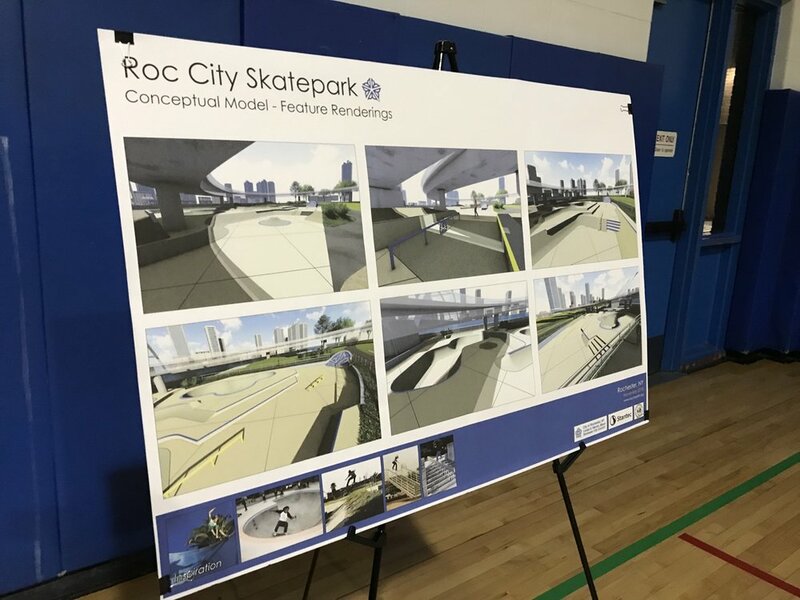 Don’t miss the Roc City Skatepark that is slated to open in the fall of 2019 adjacent to The Nathaniel. This exciting addition to our neighorhood will utilize space underneath the Frederick Douglass-Susan B. Anthony Memorial Bridge and be a much needed area of respite and play for skateboarders, walkers, cyclists, and the general public. Of course there’s so much more - stay tuned for the 6th year of the Movies with a Downtown View, a Public Forum that will share the information gleaned from Phase I of the WSP Design Exploration, a C4 Event on January 16th, the annual Dachshund Parade in Washington Square, Clean Sweep 2019, and much, much more! 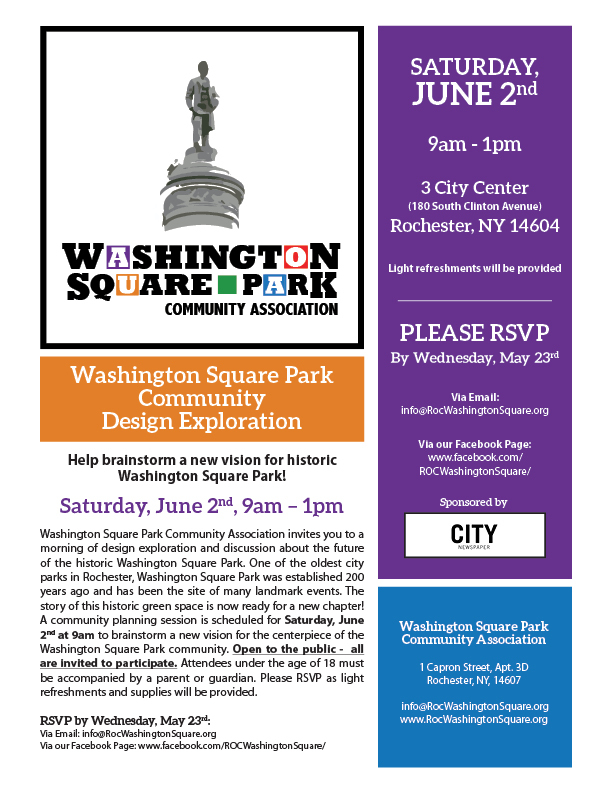 On behalf of the Board of the Washington Square Park Community Association, we want to THANK YOU for making our neighborhood one of the best in Rochester. As always, we encourage you to get out and get involved in your city. Whether that’s volunteering with the WSPCA, with an event or production that we take on, or if it’s just supporting our local businesses around town, we know each and every one of us is imperative to the success of our city. Mini Clean Sweep on Saturday! The Washington Square Park Community Association and the Center City Community Coalition (C4) invite YOU to a Mini Clean Sweep in MLK Jr. Memorial Park on Saturday, November 10th starting at 10am. We will be cleaning up the lawn areas of the Park, including raking, bagging, sweeping, and picking up garbage. The City will provide all tools and gloves, and they will be picking up the trash bags and leaves afterward. Please RSVP (to president@rocwashingtonsquare.org) if you plan on attending. This will help ensure we have enough food, beverages, and supplies for volunteers! DO NOT MISS: Dachshund Parade on Saturday! Right here in our Park, the Washington Square Park, we are truly lucky to have one of the quirkiest, exciting, and fun parades throughout the entire city! But don't blink because you may miss it - the 17th Annual Dachshund Parade is happening Saturday, May 12th, from 10a-12noon at the Washington Square Park. Click here for more info and make sure to check out their Facebook page! For more information, check out the City's website here. Please RSVP or send questions to info@RocWashingtonSquare.org so we can get an idea of how many volunteers we'll have. Congratulations WSPCA, WE DID IT!!! In case you were wondering, the WSPCA exceeded its goal of fundraising $26,000 in 2017 for its first year's fundraiser. This is such a great accomplishment, as president of the WSPCA, I want to send a huge THANK YOU to everyone in our community who pitched in and made this possible. Large corporations, small businesses, residents, renters alike, you have all expressed your willingness to make our community a better place to live, work, and play. The WSPCA raised over $28,000 throughout 2017, a significant amount above the stated goal. A small portion of the funds went to operational costs (start-up fees, legal, various administrative costs), while the majority of the funds will be used for our WSP Phase I: Pre-Development plans this year (2018). Here's the 11-production Season Announcement for the 18/19 season. We're lucky to have Geva Theatre in our very own neighborhood. They're an economic, social, and entertainment force of the region. But how much impact do they really have? The video above shows us exactly...enjoy! On Saturday at 3pm, students plan to gather for a rally in Washington Square Park and march in response to recent school shootings. The local “March for Our Lives” event coincides with other student marches in DC and across the U.S. on Saturday. Please plan for delays if you are heading downtown Saturday afternoon. Washington Square Park + downtown streets. 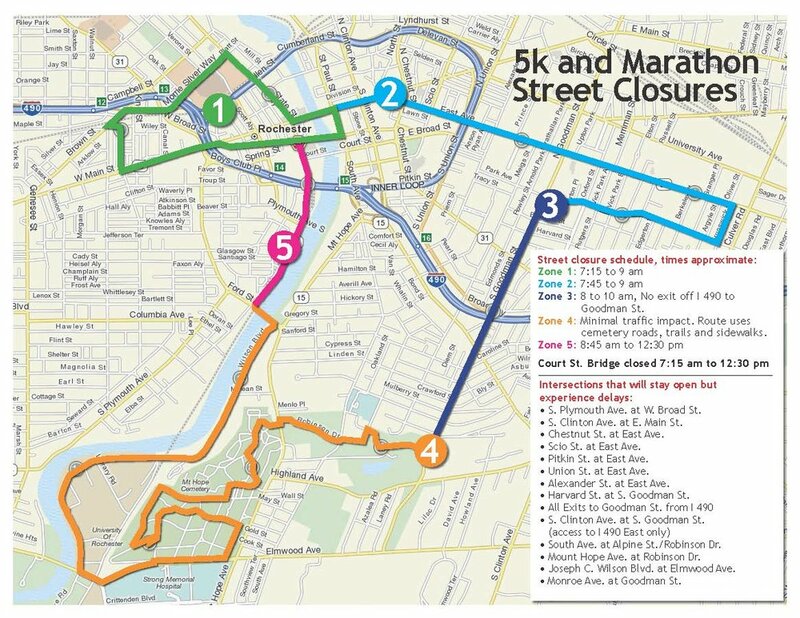 · Traffic will be affected downtown from approximately 3-5pm. Streets will reopen as the march ends (approximately 5pm). This could vary depending on the number of attendees. · March route: begin at Washington Square Park, west on Court Street, north on Exchange Blvd, east on Broad St, south on Bausch & Lomb Place, end at Washington Square Park. The Rochester Public Library's Rundel Memorial Building in downtown Rochester. If you live or work around Washington Square Park, you know how nice it is to have a library in the heart of your neighborhood. You could even go to the New York Library Association website to tell your legislators all that you love about your local library. $50 Million Investment Coming To Our Area! Anyone who loves downtown Rochester will be intrigued by the latest news regarding redevelopment of the city's riverway. Gov. Andrew Cuomo was in town last week committing $50 million to the development of the Genesee River and nearby downtown attractions. Efforts to transform the riverfront include 30 potential projects. Ideals include boosting river views at Charles Carroll Park Plaza, transforming the Rochester Riverside Convention Center and turning the Broad Street aqueduct into a downtown destination. A new advisory board will develop the final plans. An Austrian cannon is back home at Washington Square Park. The newly restored WWI cannon fittingly returned to the park right before Veterans Day. The cannon is an important historical relic, and a part of our city's Italian heritage. It was the Italian government who bestowed the cannon to the City of Rochester in 1921. The cannon honored local Italian-Americans who supported Italy during World War I by either joining the Italian or American army. The cannon, however, fell into disrepair so it was removed from the park to undergo restoration by a Georgia company. Many different groups rallied together to help the cannon make its big return to the park. Thank you to all involved, including the City of Rochester, Washington Square Park Community Association, Italian Community of Rochester and the Military History Society of Rochester. For more, read The Austrian Cannon Has Returned in the Rochesteriat. The WSPCA invites YOU to the Official Unveiling of the refurbished Austrian Cannon, today, 2pm, in the Washington Square Park. Check out our newly revised logos! The first logo is our square logo with a water-colored-type image of the top of the Soldiers Monument above the text. This will help us brand together the Washington Square Park with its central monument, thereby allowing the community to see how important and historical our neighborhood is. Our second logo is text only, but has a thicker black border around the edges to create a definite sense of place, importance, and focus.